I need to develop a press release to announce this project. My goal is drive awareness of Redhook Green in an effort to obtain technological, equipment and product support from green-minded manufacturers of appliances, electronics, and furnishings, just to name a few. I discovered there was no concise way to describe the movement towards lower or zero energy building, so I decided that I needed to give it a try myself. As the United States moves to reduce its dependency on foreign oil via renewable resources and to significantly reducing greenhouse-gas emissions, automobiles have typically been the favorite targets of the press and politicians, but in reality buildings have a huge impact on energy use and the environment. According to the Energy Information Agency, commercial and residential buildings use almost 40% of the primary energy and approximately 70% of the electricity in the United States. There is a perfect storm of sorts brewing in the world of new construction. 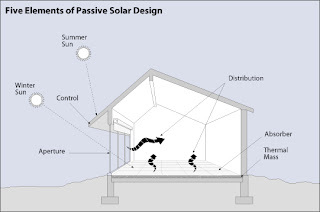 As building technology improves, architects have developed exciting passive designs to reduce energy needs in order to maintain temperature throughout the sun's daily and annual cycles while reducing the requirement for active heating and cooling systems. Next add to that the ever-improving performance of wind and solar generation while continuing to drive lower costs to implement. And finally, manufactures are engineering more energy efficient HVAC and home appliances to reduce consumption and increase efficiency. The intersection of these phenomena’s is the Zero-Energy Building. As defined by the US Department of Energy, “a net zero-energy building (ZEB) is a residential or commercial building with greatly reduced energy needs through efficiency gains such that the balance of energy needs can be supplied with renewable technologies.” Basically the ZEB concept is the idea that buildings can meet all their energy needs from low-cost, locally available, nonpolluting, renewable sources such as solar or wind power. That building can generate enough renewable energy on site to equal or exceed its annual energy use. A zero energy building typically uses traditional energy sources such as the electric and natural gas utilities when on-site generation does not meet the need. When the on-site generation is greater than the building’s loads, excess electricity is sold to the local utility via the power grid. 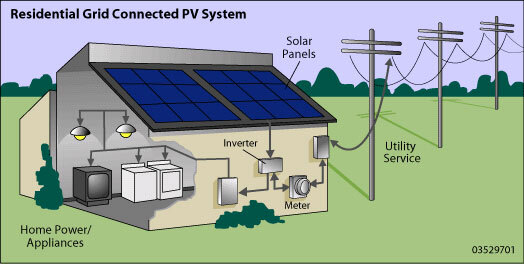 By using the grid to account for the energy balance, excess production can offset later energy use. There is a growing trend to for governments around the world to embrace the concepts of zero-energy buildings; a few examples include California and the European Union. Every two years, the California Energy Commission (CEC) releases an Integrated Energy Policy Report, in which it makes recommendations for energy policy in the state, including changes to the energy efficiency portion of the building codes. In its 2007 report, CEC recommends adjusting the code to require net-zero-energy performance in residential buildings by 2020 and in commercial buildings by 2030. There are only a few examples of ZEB building in the U.S. according to the Department of Energy's Zero Energy Buildings Database that features profiles of commercial buildings. The European Union has taken a huge step toward zero-energy building. Earlier this month an agreement was reached by representatives of the European Parliament and the Council, aiming to extend the scope and strengthening the current directive to upgrade the national building codes and by launching an ambitious policy of nearly zero energy buildings, so that all new buildings will be nearly zero energy as of 2020. In the EU buildings are responsible for 40% of energy consumption and 36% of CO2 emissions. It is estimated that, by strengthening the provisions of the directive on energy performance, they could achieve a reduction in its greenhouse gas emissions equivalent to 70% of the current EU Kyoto target. In addition to this, these improvements could save citizens around 300€ per annum per household in their energy bills, while boosting the construction and building renovation industry in Europe. Energy Commissioner Andris Piebalgs said: "Energy performance of buildings is key to achieving our EU Climate & Energy objectives for 2020, namely the reduction of Greenhouse gas emissions and the achievement of a 20% of energy savings. By this agreement, the EU is sending a strong message to the forthcoming climate negotiations in Copenhagen. Improving the energy performance of buildings is a cost effective way of fighting against climate change and improving energy security, while also boosting the building sector and the EU economy as a whole."